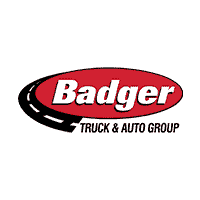 Badger Isuzu Truck Center has the work truck solution to fit your business needs. With financing options for both purchasing and leasing work trucks, rest assured we can build a vehicle that fits your budget. Unique to Badger Isuzu Truck Center is our in-house upfitter, Badger Truck Equipment. We can upfit your Isuzu right her in West Allis. Cargo, landscape, dumps, flatbeds, and utility bodies available. That’s what sets us apart. We are your one stop shop for Isuzu truck sales, body upfits, service and parts. Service your vehicle with the Isuzu specialists. We’re open 7:00 AM-12:00 AM, so we can work with your schedule. Your primary source for Genuine Isuzu and Fleet Value Service. Your primary source for Genuine Isuzu and Fleet Value Parts.